This is the fourth time that China has blocked the resolution against Azhar since 2009. 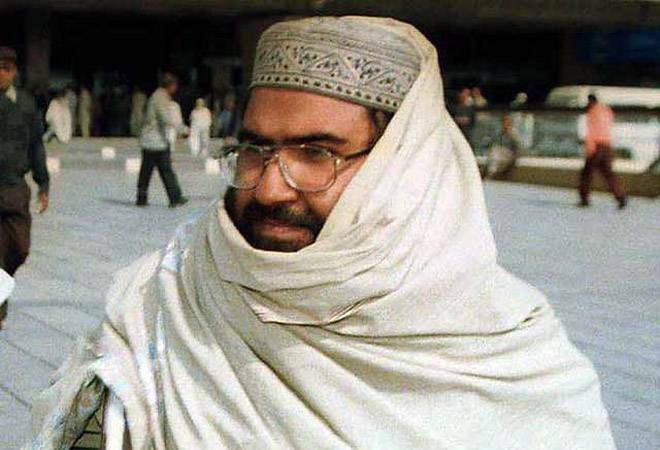 United Nations: India’s bid to get Pakistan-based Jaish-e-Mohammed’s chief Masood Azhar as a “global terrorist” by the UN Security Council was once again blocked by China as it placed a “technical” hold on the resolution on Wednesday. This is the fourth time that China has blocked the resolution against Azhar since 2009. The proposal to designate Azhar under the 1267 Al Qaeda Sanctions Committee of the UN Security Council was moved by France, the UK and the US on February 27, days after the Pulwama terror attack carried out by a suicide bomber belonging to the Jaish-e-Mohammed (JeM) that led to a flare-up in tensions between India and Pakistan. tensions between India and Pakistan. In a statement, the ministry of external affairs said it was disappointed by the outcome. “This (technical hold) has prevented action by the international community to designate the leader of Jaish-e-Mohammed, a proscribed and active terrorist organisation which has claimed responsibility for the terrorist attack in Jammu and Kashmir on 14 February 2019,” it said. Vowing to continue to pursue all available avenues to ensure that terrorist leaders who are involved in heinous attacks on our citizens are brought to justice, the MEA said it was grateful for the efforts of the member states who moved the designation proposal. It said it had received unprecedented support from Security Council members as well as non-members, who joined as co-sponsors. Senior Congress leader Randeep Surjewala took to Twitter to attack the Narendra Modi-led government. “A sad day in the global fight against terrorism! China blocking Masood Azhar’s designation as global terrorist reaffirms Chinese position of being an inseparable ally of terrorism’s breeding ground-Pakistan Sadly,Modiji’s Foreign Policy has been a series of Diplomatic Disasters,” Surjewala tweeted. The UN committee makes its decisions by consensus among its members. China, a veto-wielding permanent member of the Security Council, and an “all-weather ally” of Pakistan had previously blocked India’s proposal from being adopted by the Sanctions Committee in 2009 and 2016. In 2017, Beijing also blocked a move by the US, the UK and France to designate Azhar as a global terrorist by the UN. A UNSC designation would have subjected Azhar to an assets freeze, travel ban and an arms embargo. An assets freeze under the Sanctions Committee requires that all states freeze without delay the funds and other financial assets or economic resources of designated individuals and entities. Hectic diplomatic and political parleys had preceded the Wednesday deadline as New Delhi reached out to member countries of the 15-member UNSC. In the wake of the terror attack in Pulwama, India launched a major diplomatic offensive against Islamabad, holding briefing for envoys of 25 countries, including from the five permanent UNSC members — the US, China, Russia, the UK and France — to highlight Pakistan’s role in using terrorism as an instrument of state policy. India also handed over to Pakistan a dossier on “specific details” of involvement of the JeM in the Pulwama terror attack. Foreign Secretary Vijay Gokhale had also met US Secretary of State Mike Pompeo in Washington recently. The Ministry of External Affairs (MEA) in New Delhi said in a statement that Pompeo expressed his “understanding” of India’s concerns on cross-border terrorism. On Wednesday, the US said Azhar meets the criteria to brand him as a “global terrorist” by the UN and China’s opposition to the move to “update” the designation list went against the interests of Washington and Beijing in achieving regional stability and peace. “The United States and China share a mutual interest in achieving regional stability and peace, and that a failure to designate Azhar would run counter to this goal,” State Department Deputy Spokesperson Robert Palladino said in response to a question on previous successful attempts by China to block the UN designation of Azhar. An inkling of China’s stand on the issue had come during Foreign Ministry Spokesperson Lu Kang’s press conferences on Monday and Wednesday in Beijing when he was asked about the proposal to list Azhar as a global terrorist by the UNSC. “The UN Security Council and its subsidiary bodies are run on strict rules. We already stressed China’s position on the listing of terrorist organisations and individuals in the UN Security Council 1267 Committee on many occasions,” Lu said on Monday. “China will continue to adopt a responsible attitude and participate in the deliberations in the UNSC 1267 Committee,” Lu said on Wednesday.